I am trying to figure out why these two computers treat these monitors differently, and show different settings for them. This is clearly (no longer) correct, given then my iMac is running two of these displays at 3840 x 2160 at 30hz. 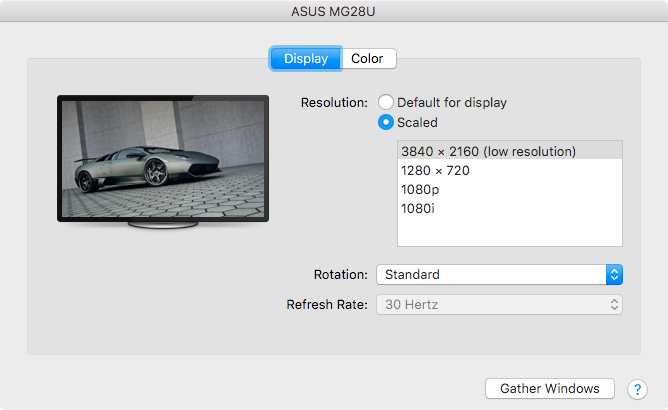 Assuming this information is correct (I'm skeptical given the contradictions) this iMac can support 4k60Hz for SST displays, but not MST displays. In that case, I suspect that these Asus MG28U displays use MST, but I cannot find any information regarding whether they're SST or MST. Has anyone gotten 4k60 to work with a late 2013, 27" iMac? Is there some setting or something that I am missing? Any help would be appreciated. BTW, my experience with my dual-panel display (which I think is "MST") is that you can catch it out sometimes, with one side lagging behind the other briefly. Not the answer you're looking for? 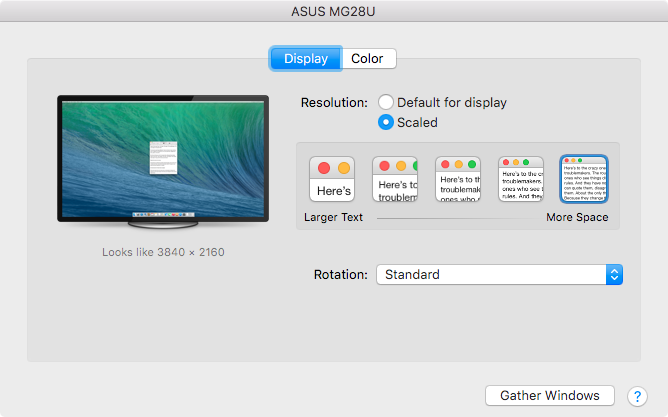 Browse other questions tagged display imac displayport 4k .